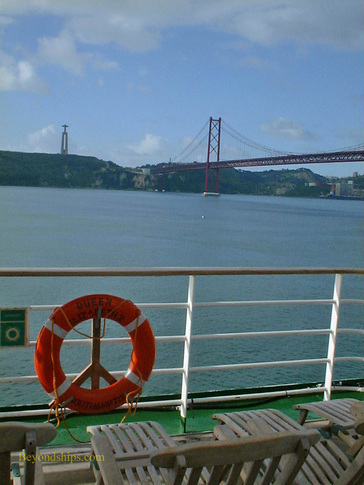 Above: Cruise ships arriving in Lisbon sail beneath the 25th of April bridge and dock close to the heart of the city. Below: Lisbon has a subtropical climate with mild winters and summers that extend from May to October. 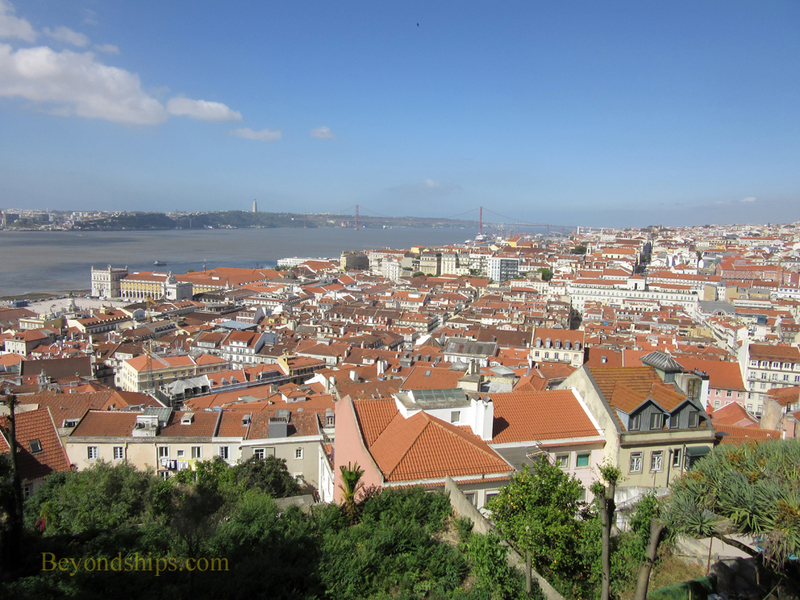 Lisbon is one of the busiest cruise ports in Europe with approximately a quarter million cruise visitors each year. It is the capital of Portugal and its largest city. It has a good harbor and is situated close to the Atlantic making it a convenient port of call for ships sailing from Britain and Northern Europe on Mediterranean, Iberian and Canary Islands cruises. However, what makes Lisbon a popular port is its picturesque charm that mixes the traditional with the cosmopolitan sophistication of a major city. ​Lisbon is divided into districts, each with its own character. 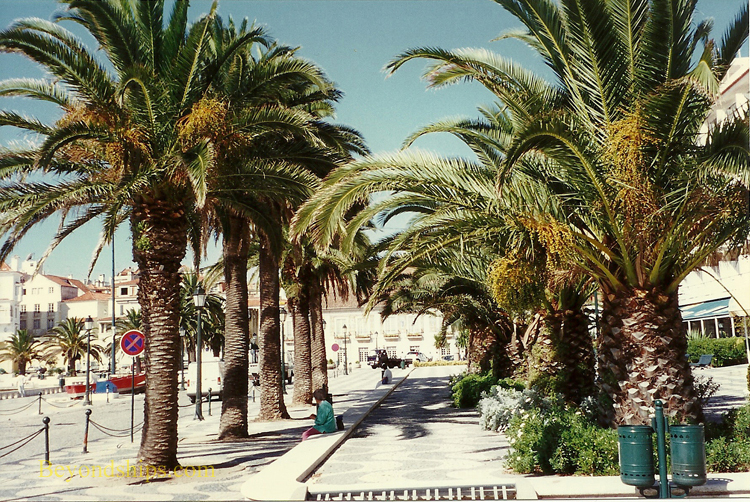 The districts of most interest to visitors are Belam, Baixa and Alfama. Much of Lisbon is walkable. However, there are also some steep hills. The city has put in trams, funiculars and elevators to make it easier to get around these areas. Lisbon also has an extensive public transportation system. Portugal is in the Euro Zone and thus the currency is the Euro. Most locals speak Portuguese. However, people involved in tourism often speak English.